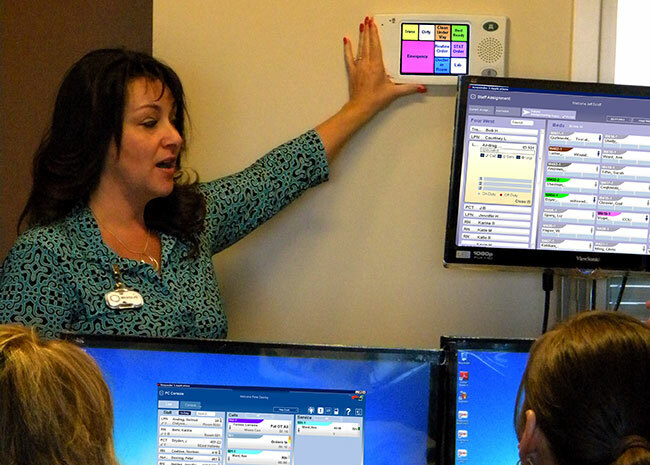 Our Clinical Application Specialists provide the necessary training, materials and skills to prepare staff for a successful implementation and Go Live experience when installing hospital systems and devices. Our goal is to transfer the knowledge needed in a way that allows your clinical staff to utilize their skills immediately within your healthcare organization. It is very important for healthcare staff to be empowered to take ownership of the Clinical Communications System, engage patients, and develop key understandings that translate into practice by participating in designing, testing and training. Our trainers ensure all clinical staff are provided with the skills to both utilize new systems effectively, and in many cases be instrumental in training and/or coaching their colleagues and peers. With the hospital staff support, the effective and efficient utilization of new technology has a greater chance of success. System users that have adequate training feel comfortable working with new technology, and are better equipped to deal with future technological innovations. In addition, the ultimate goal of improving care delivery and enhancing patient services is achievable.